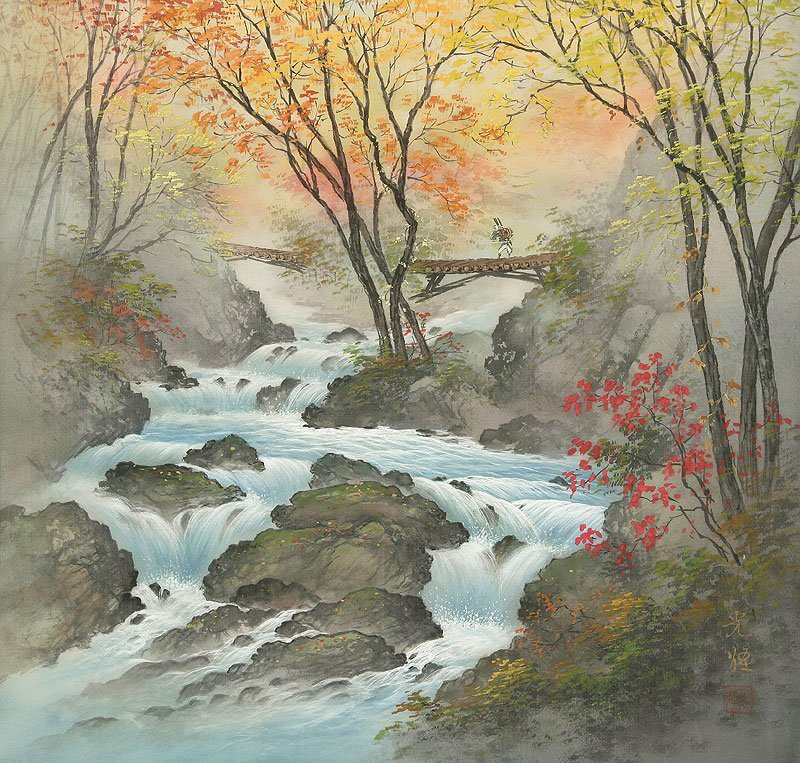 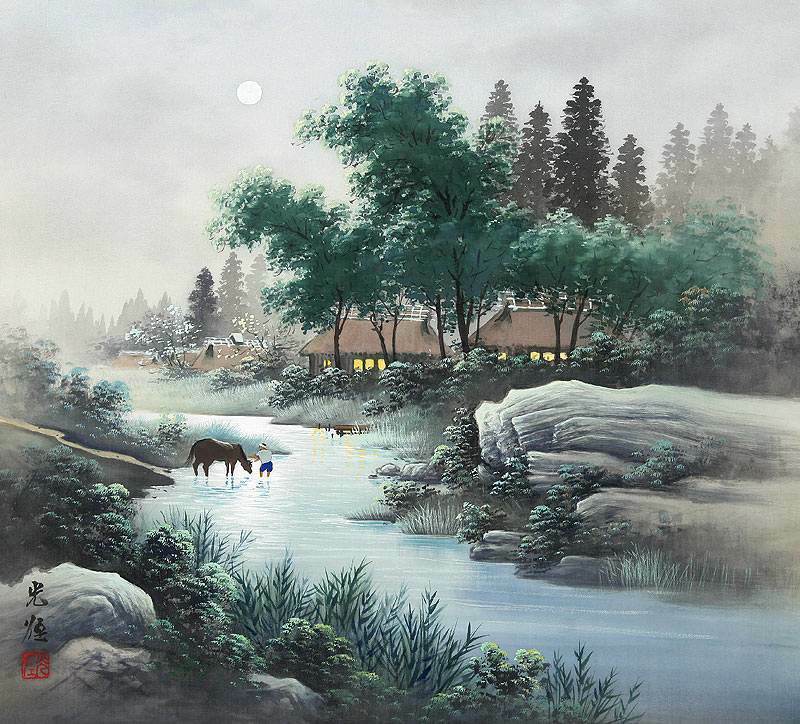 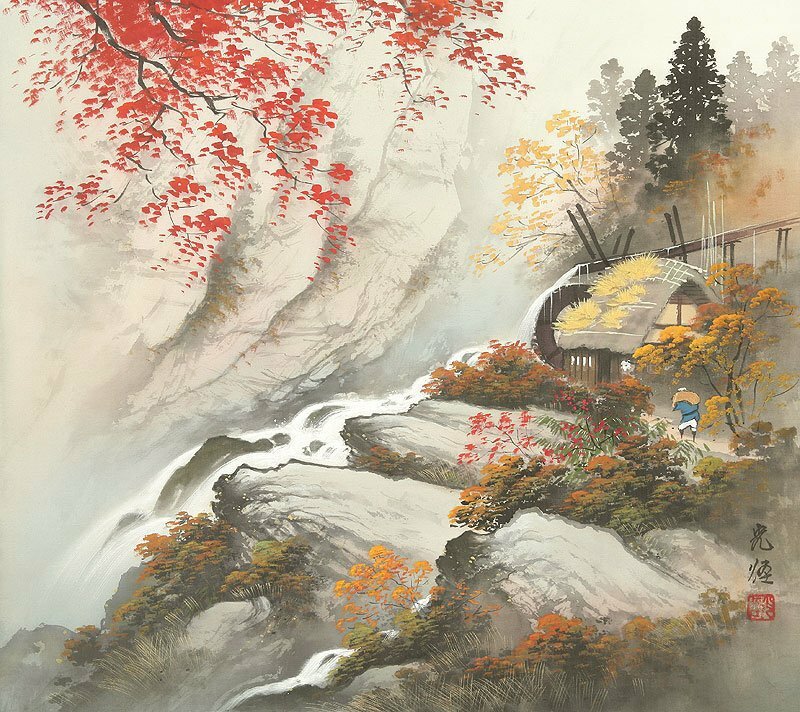 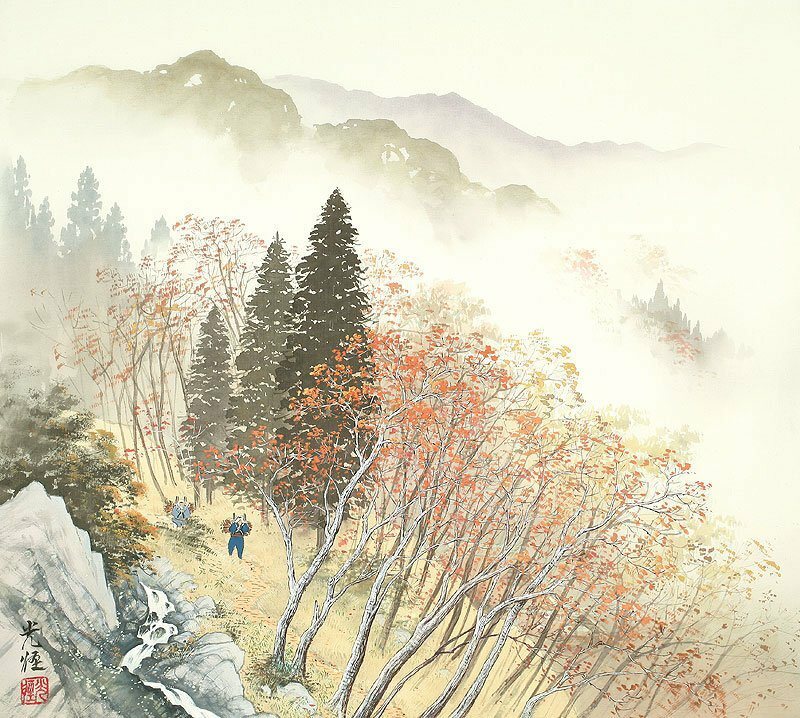 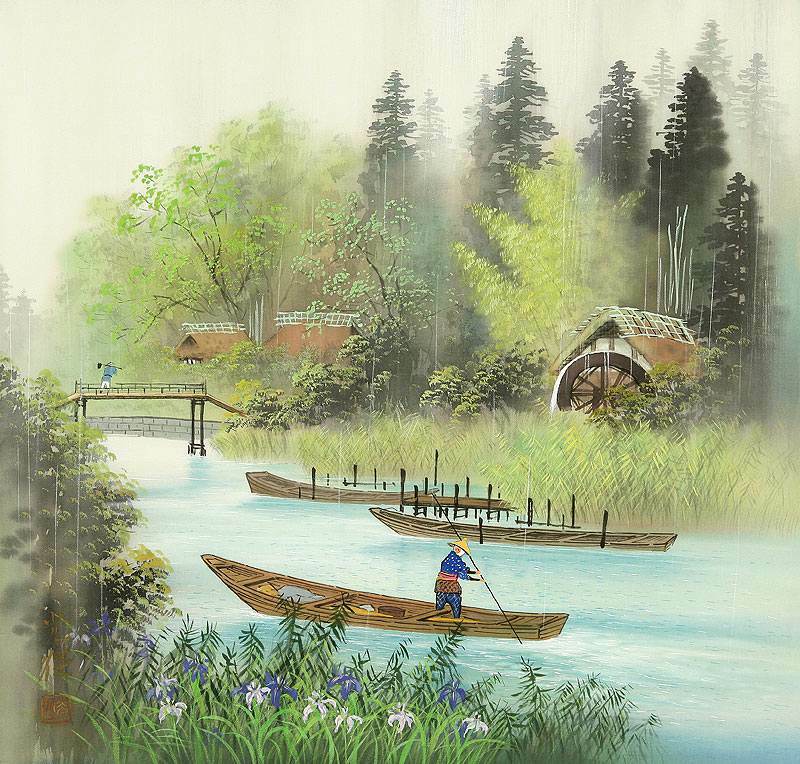 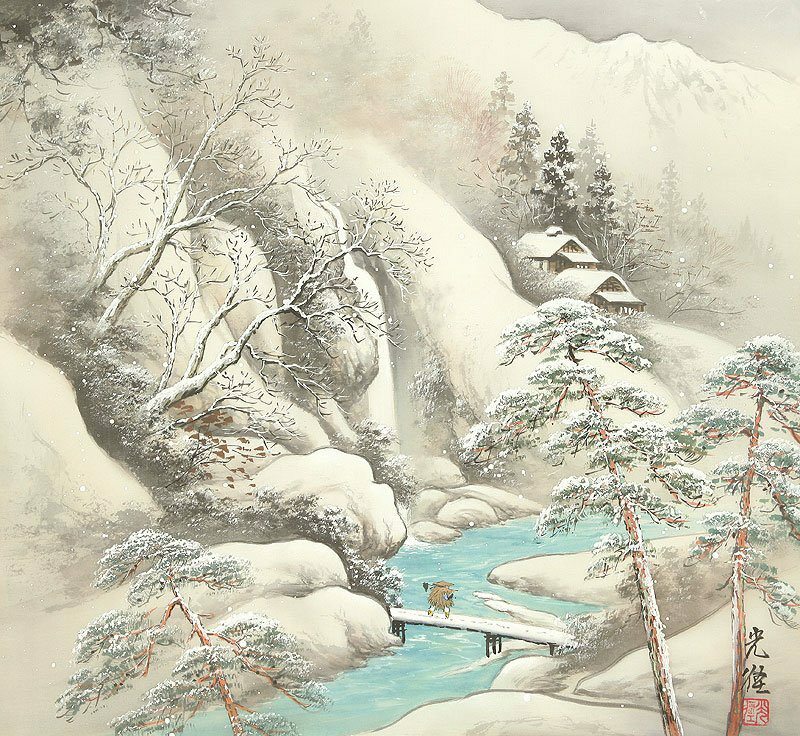 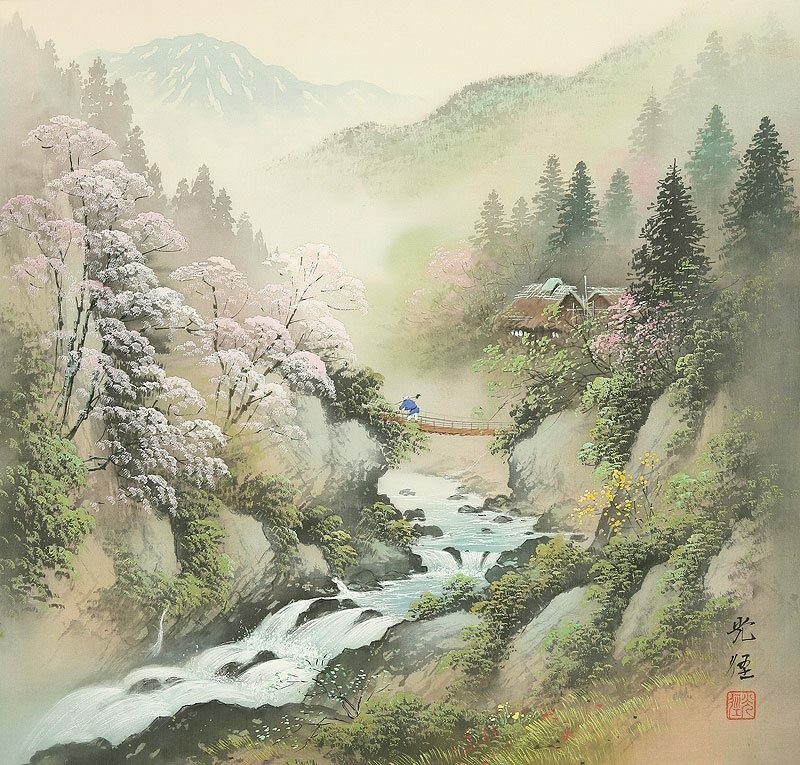 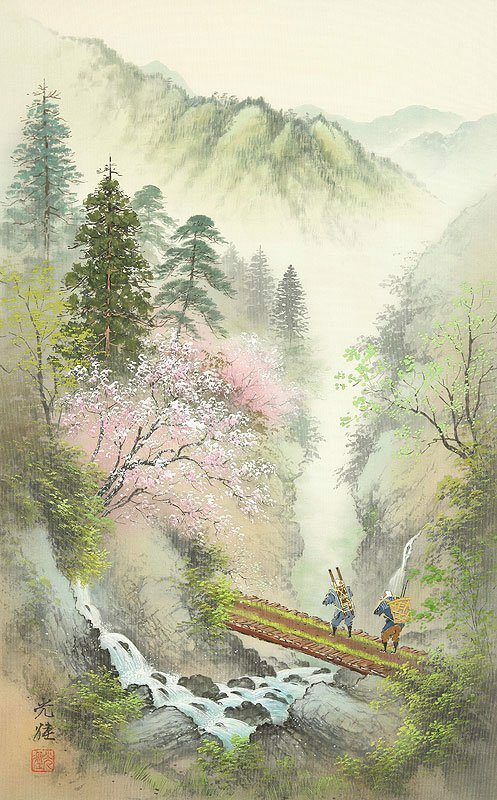 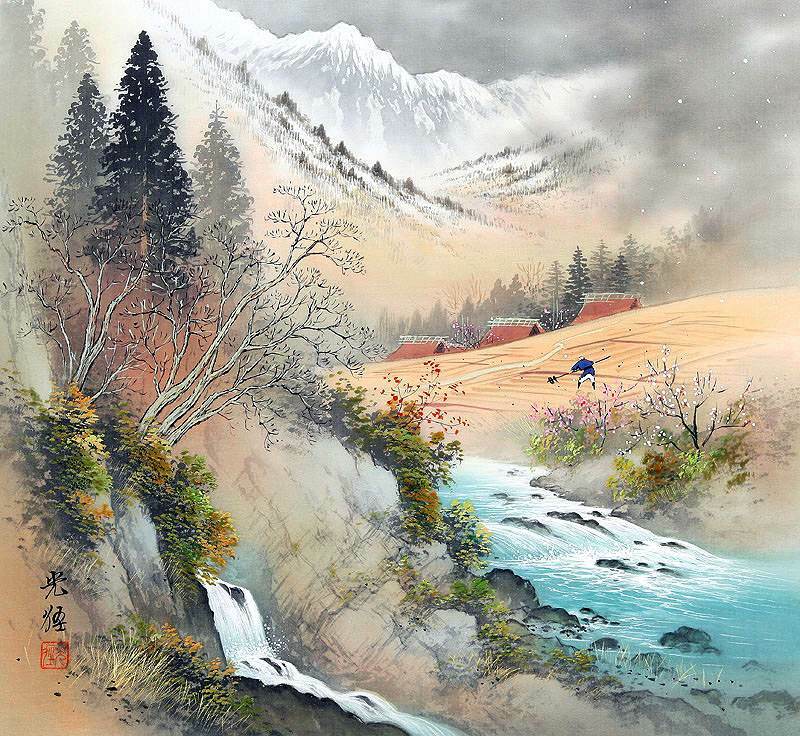 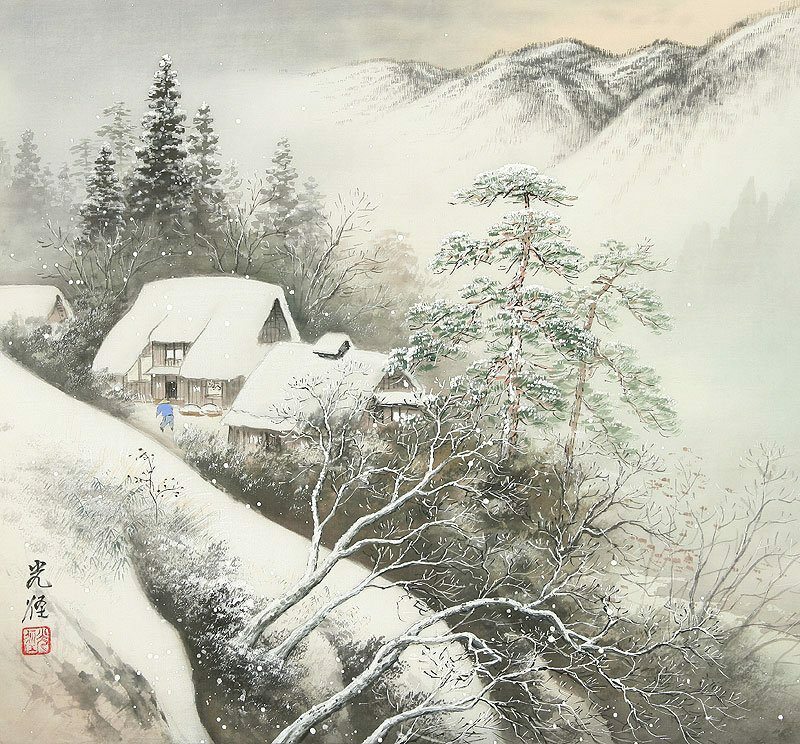 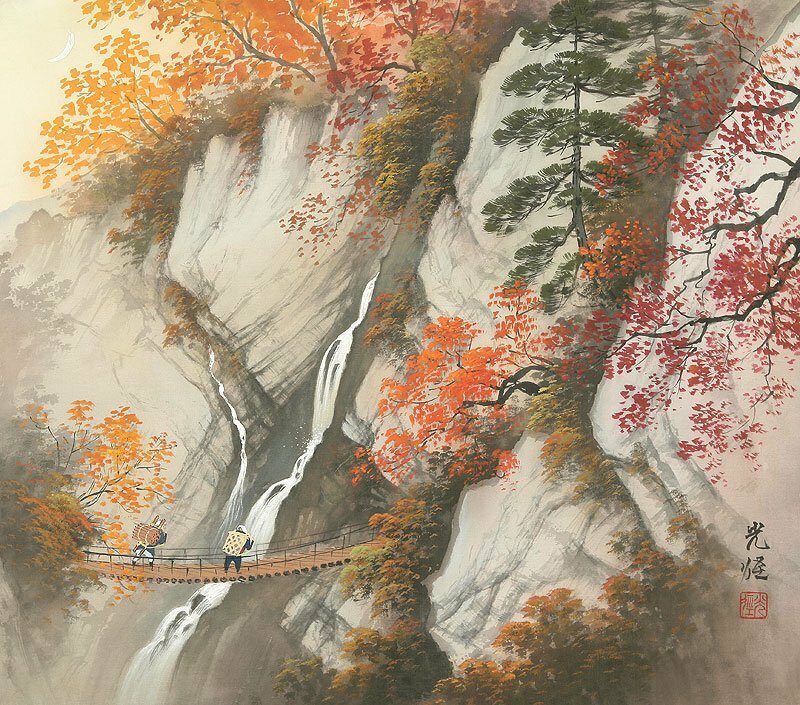 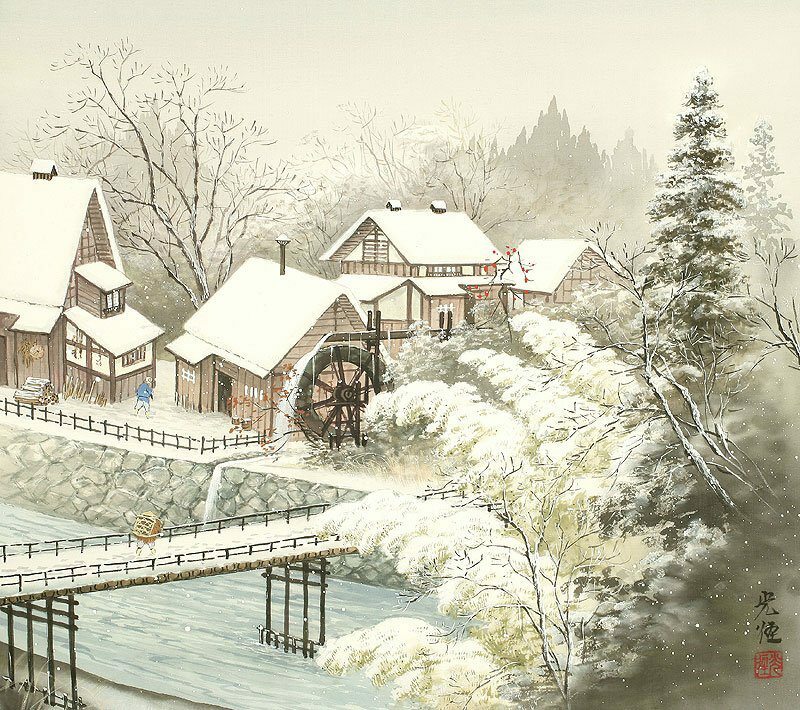 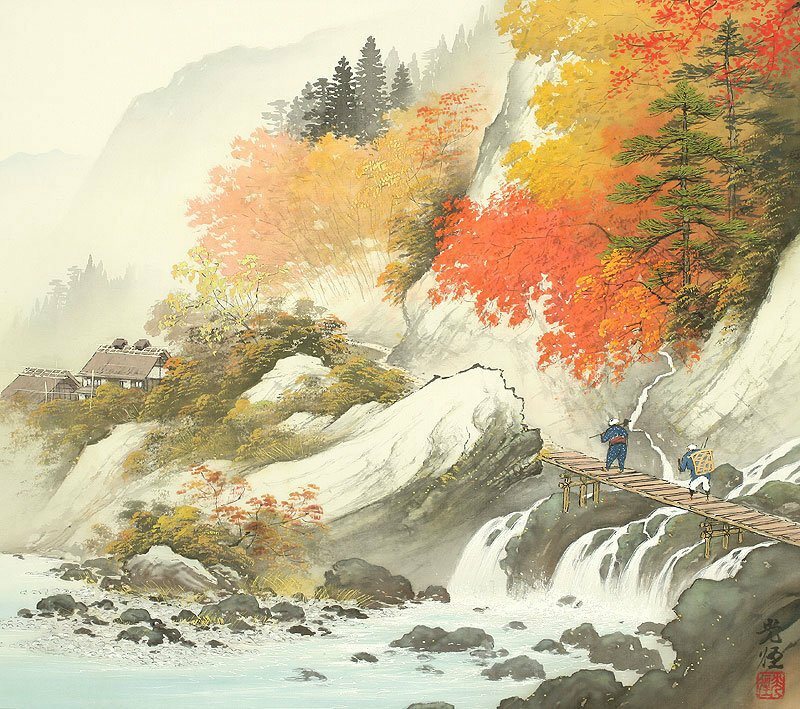 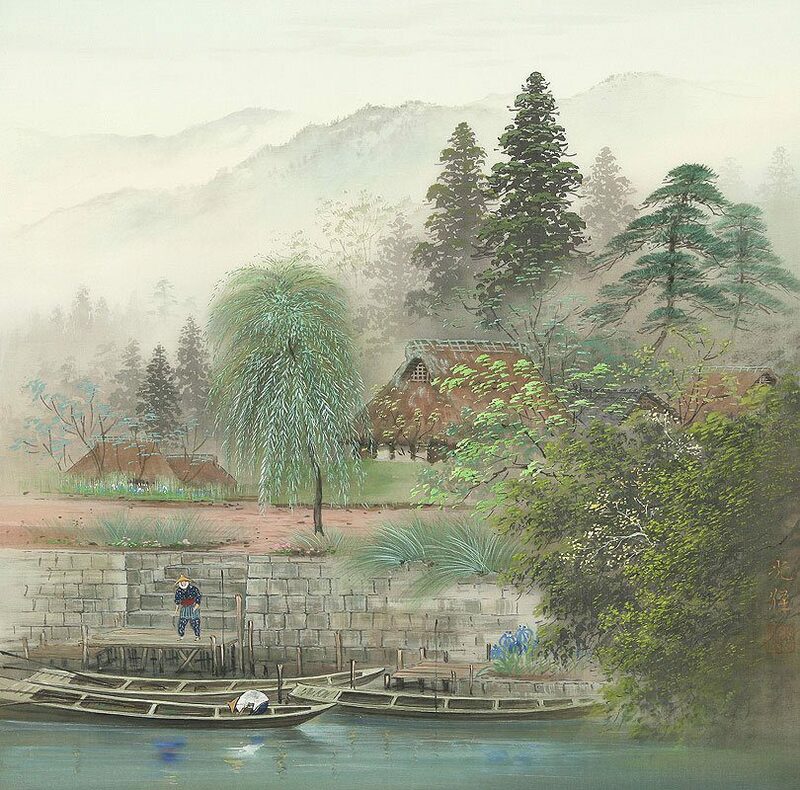 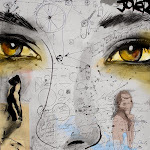 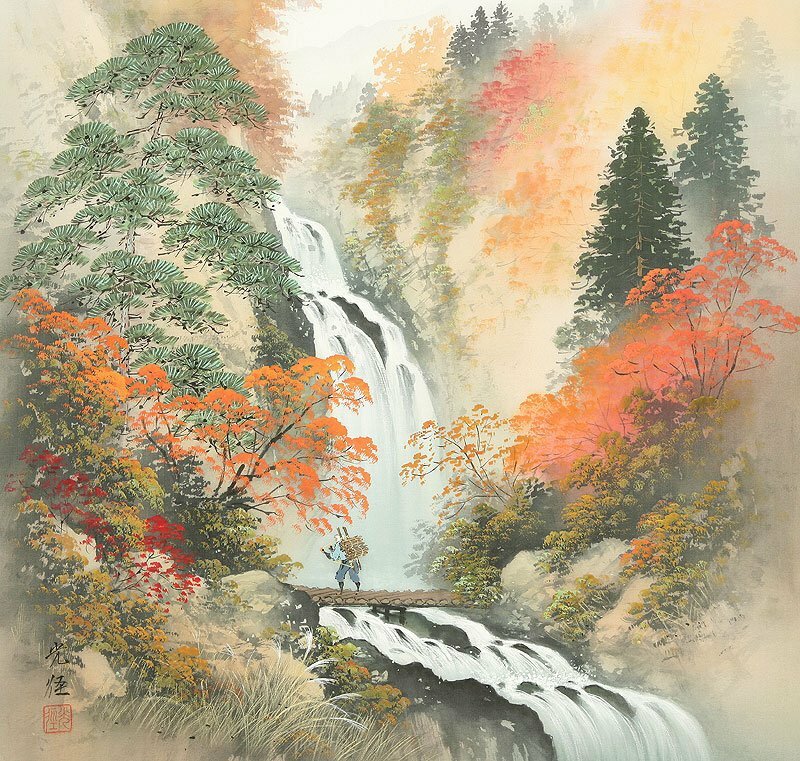 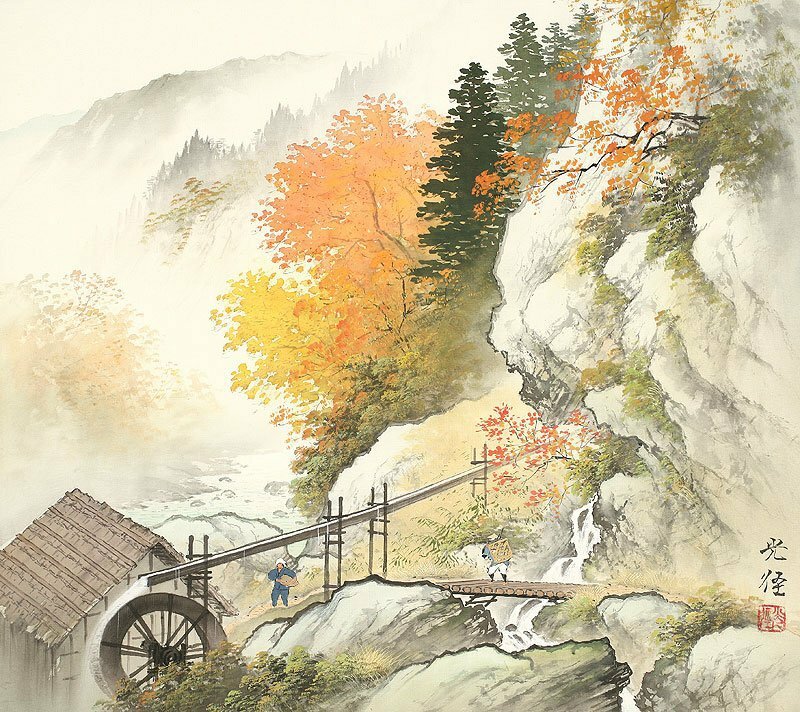 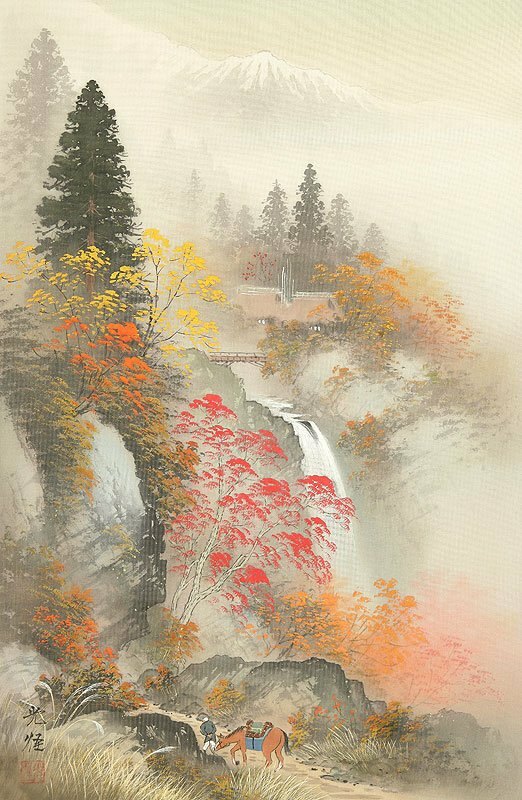 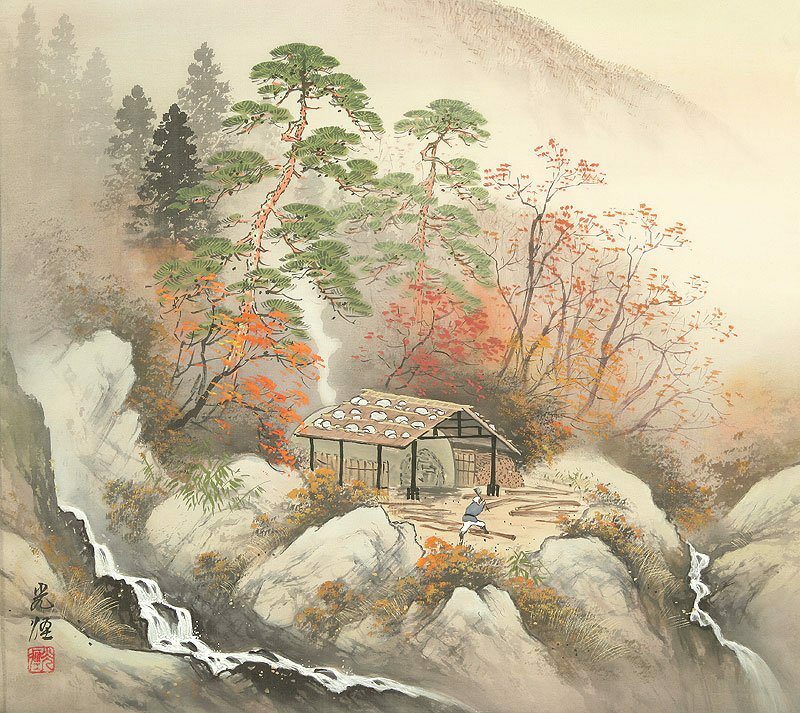 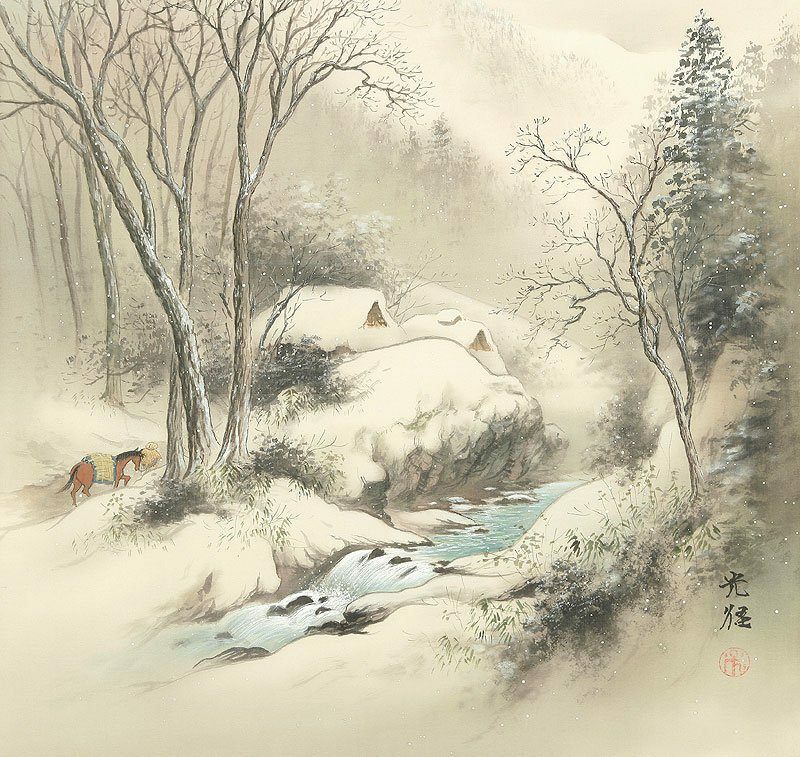 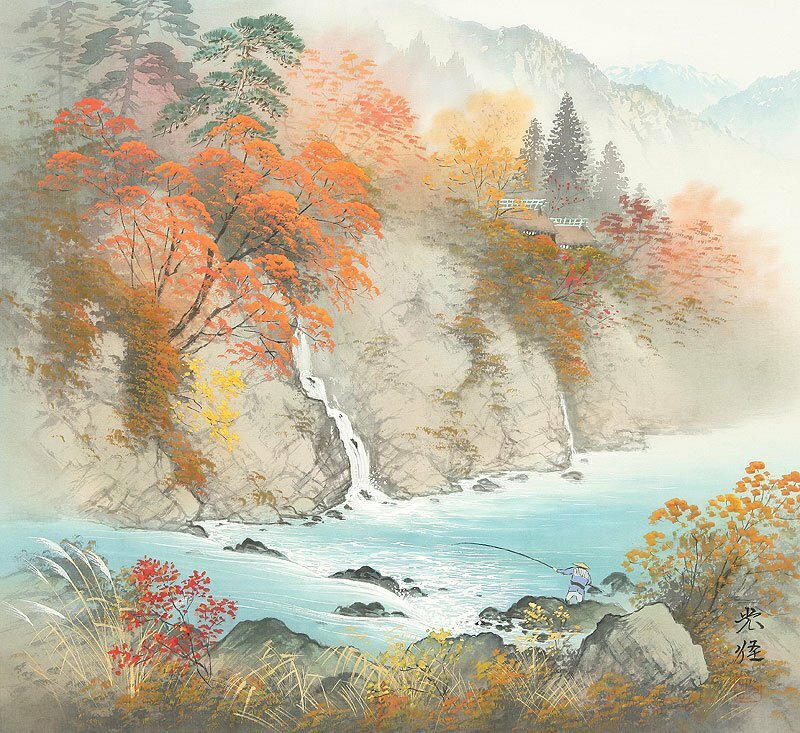 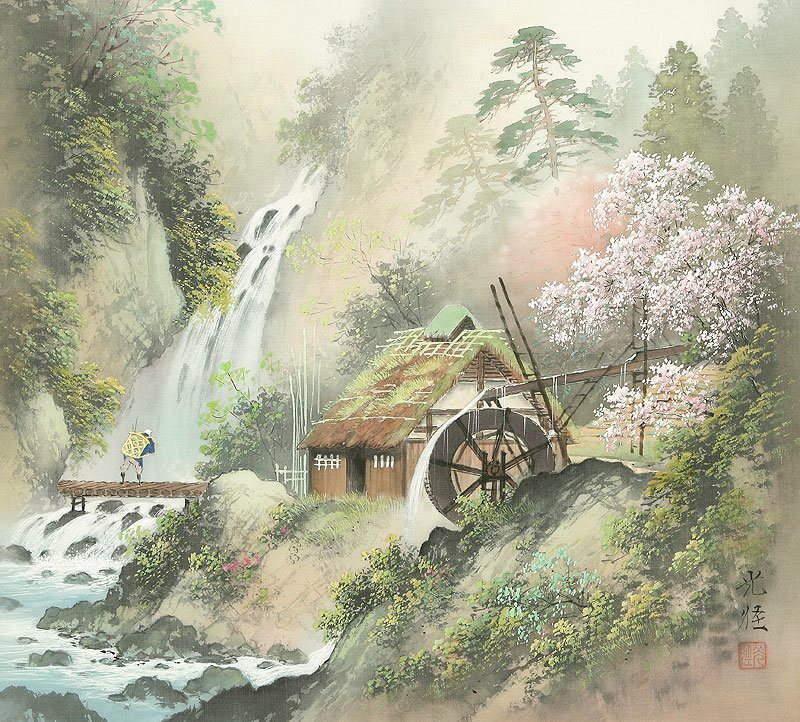 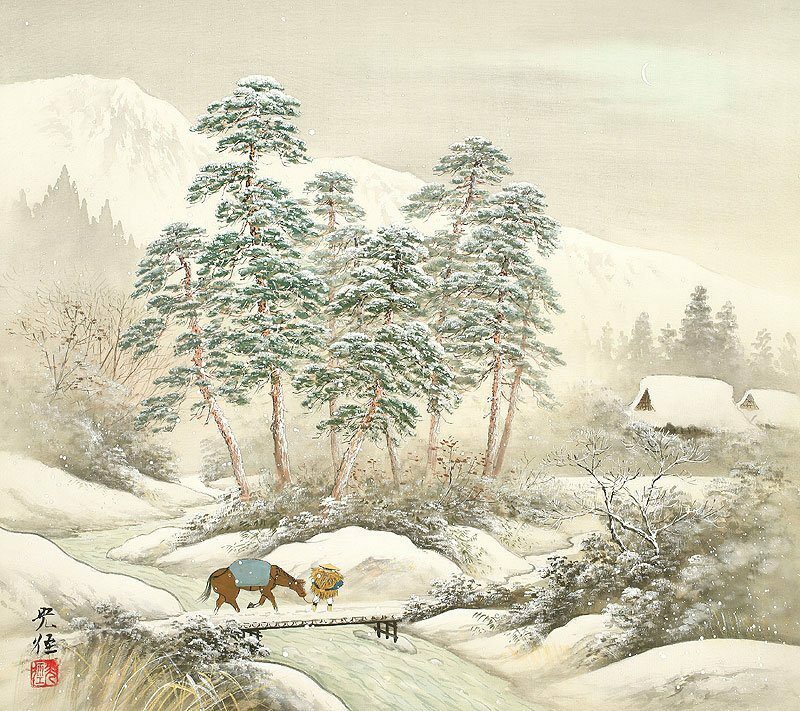 Paintings of Japanese artist are blooming irises, river, the trees above the river, streams, where trout splashing… fresh breeze from the river, drizzling warm rain and snow in the winter reigns the silence. 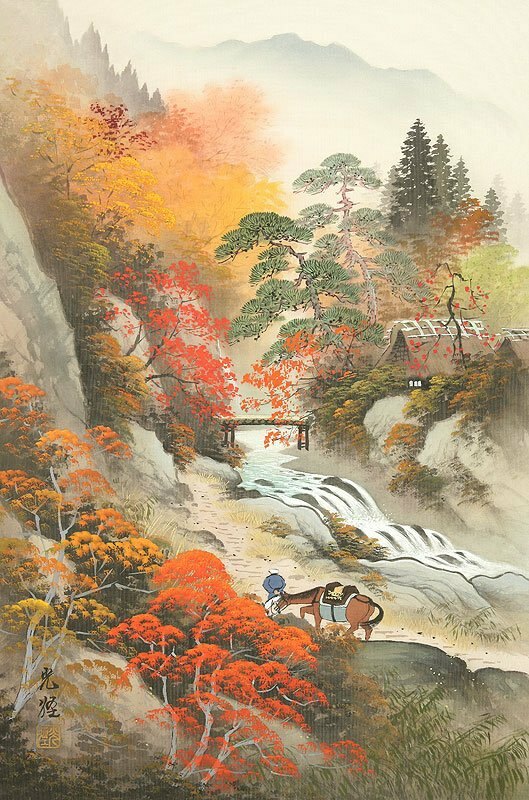 The spring cherry blossoms and autumn golden trees silently drop onto the ground. 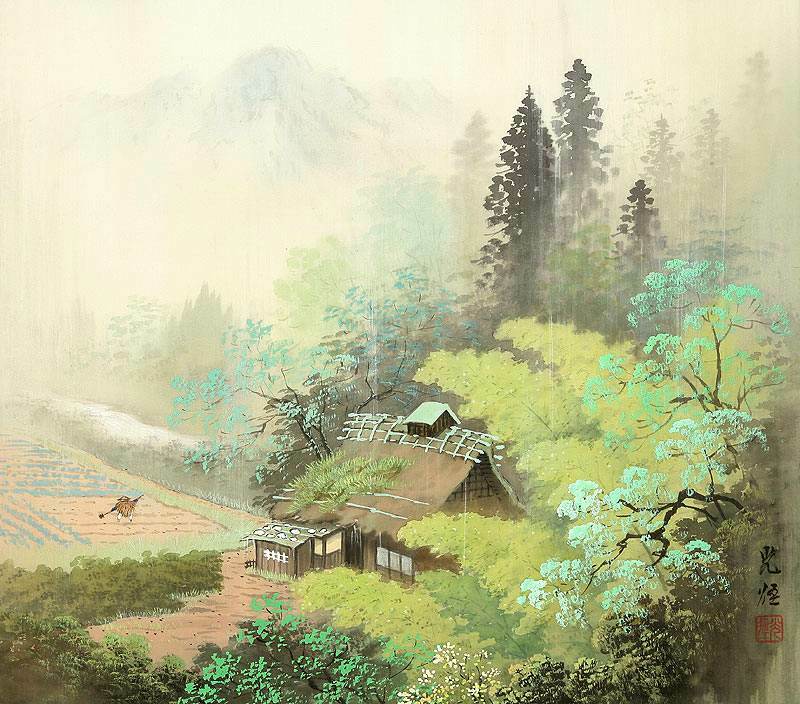 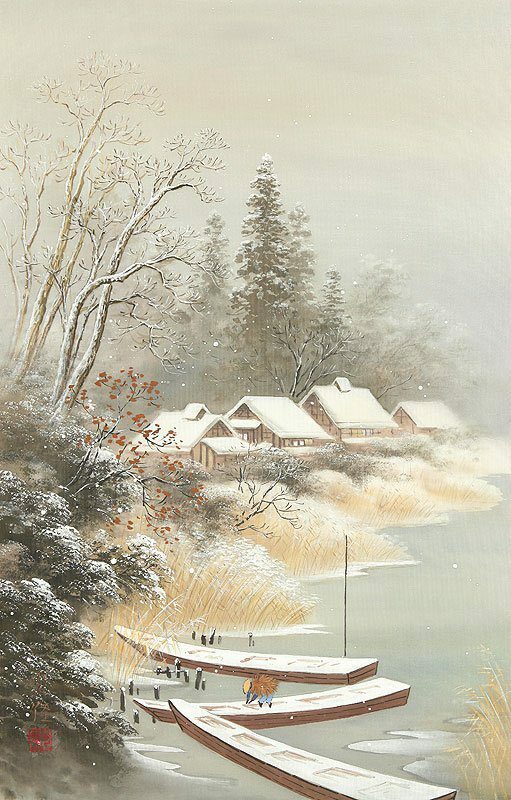 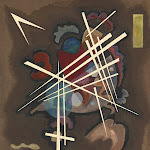 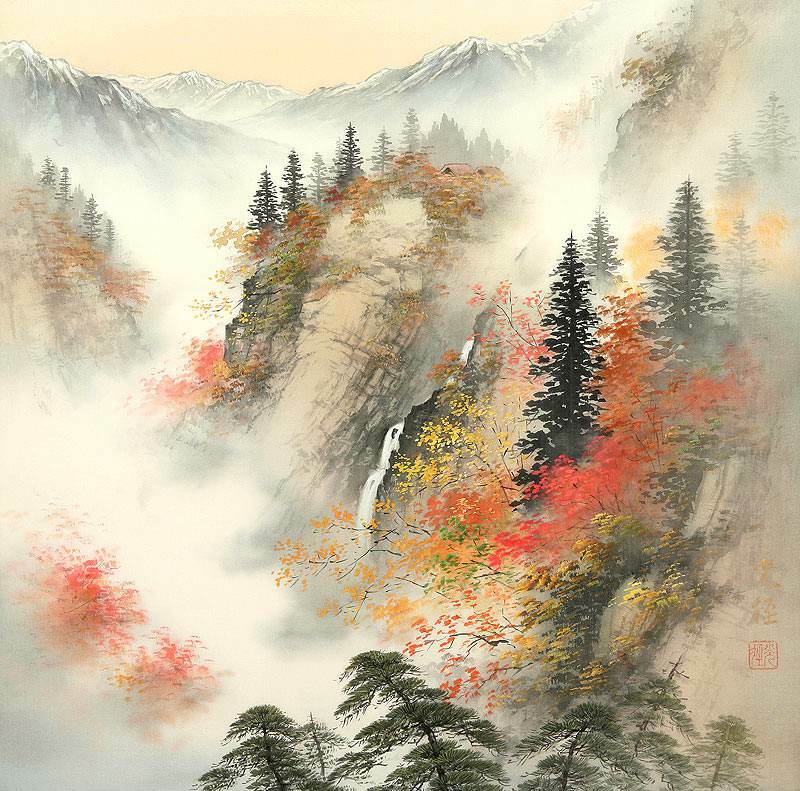 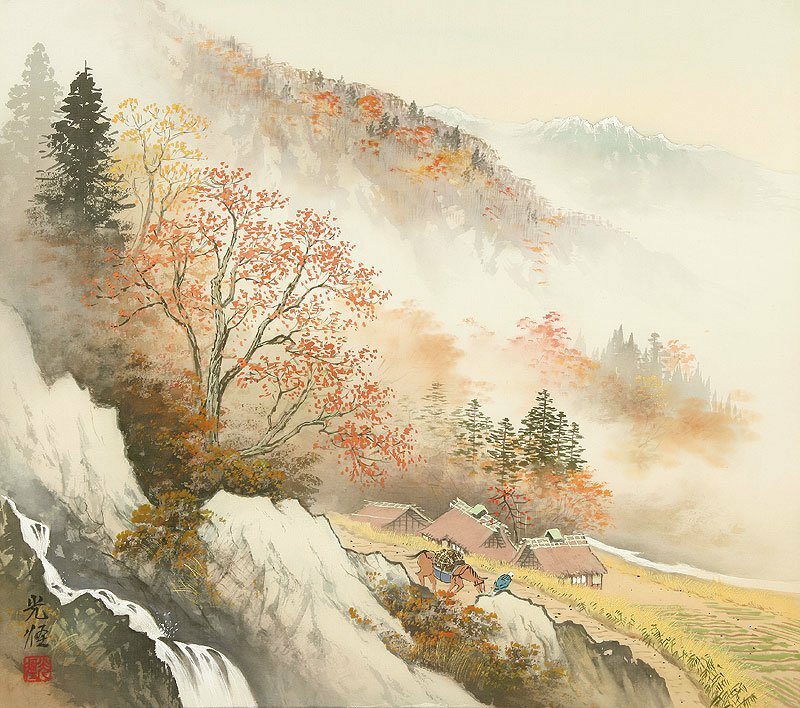 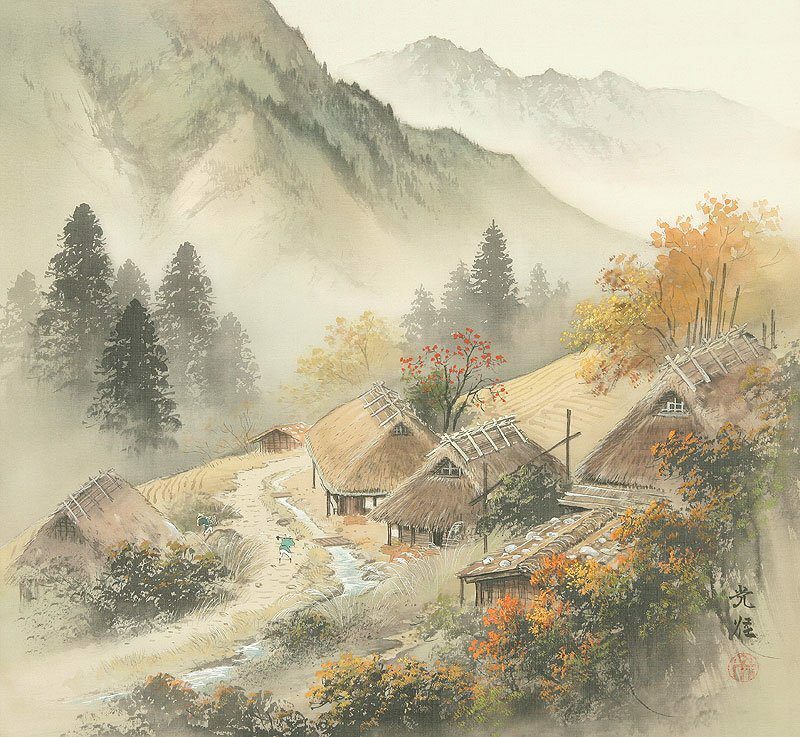 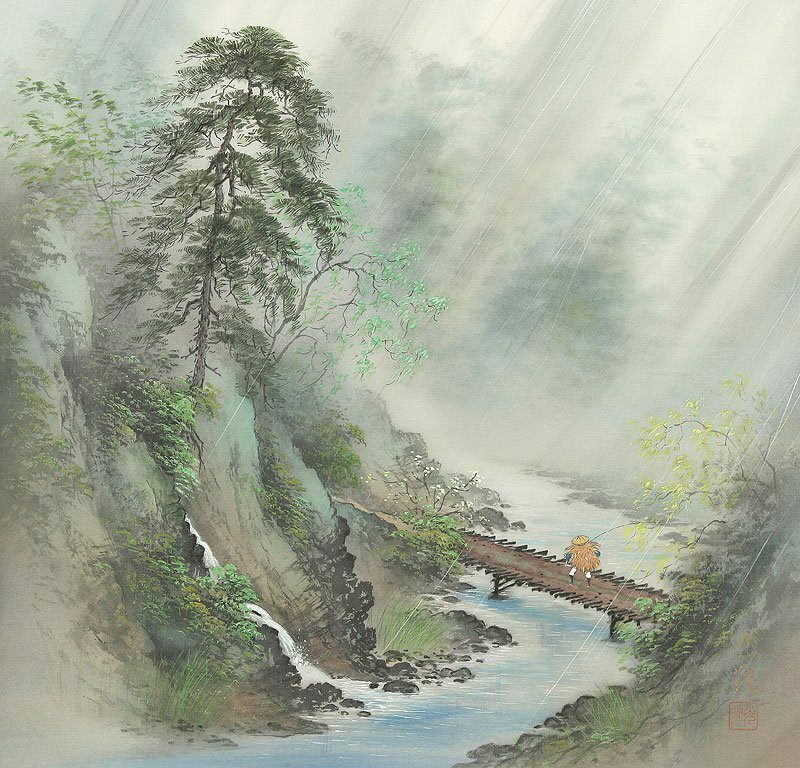 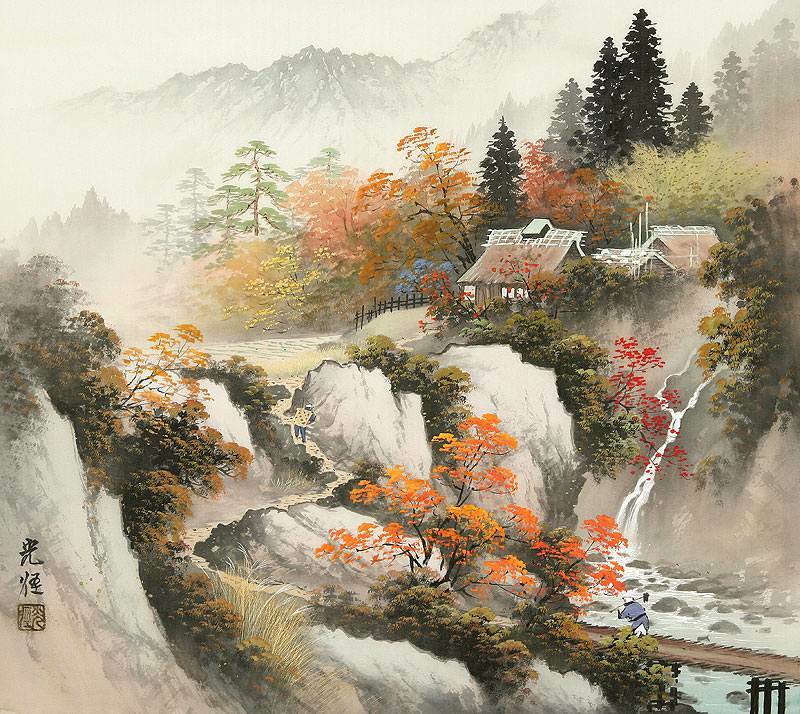 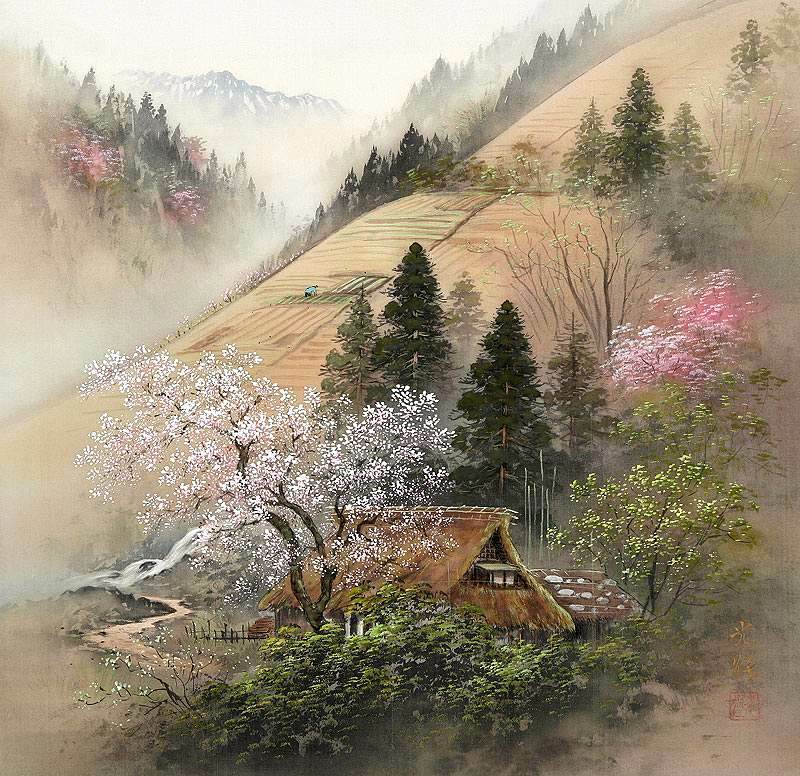 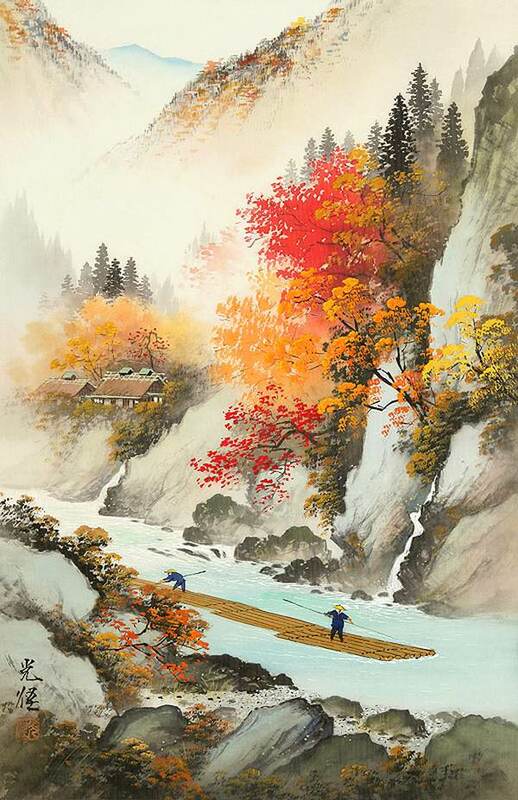 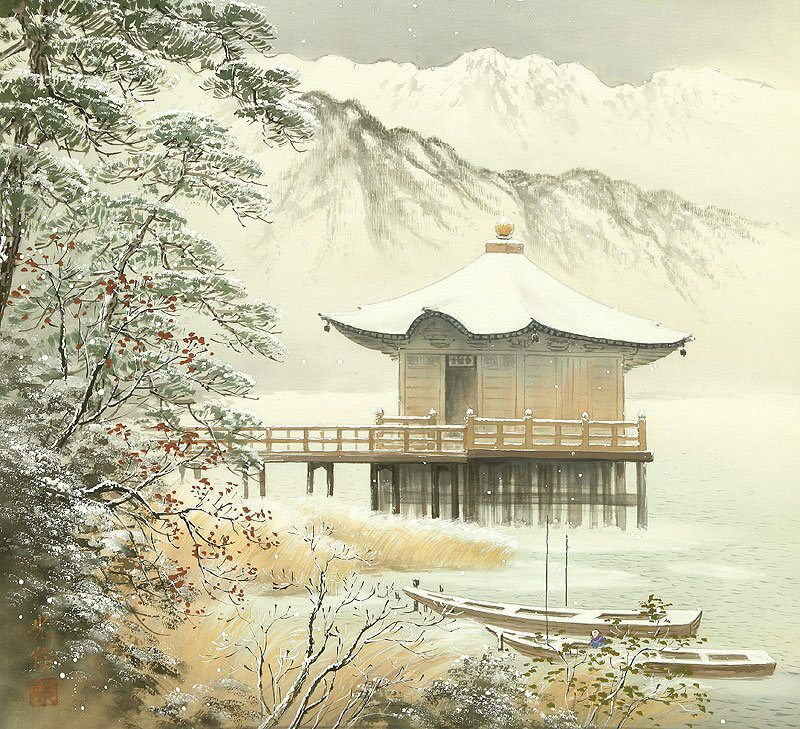 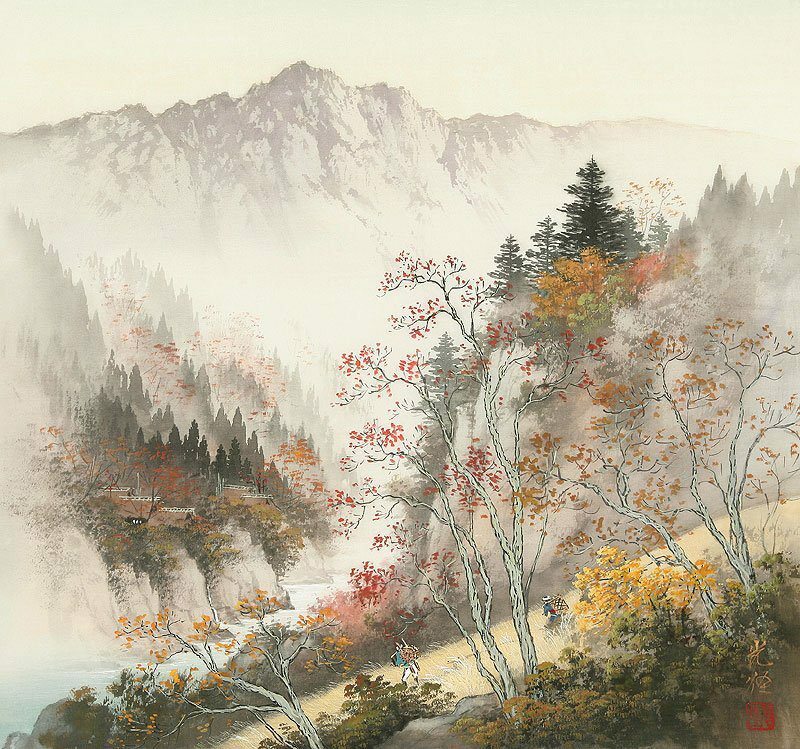 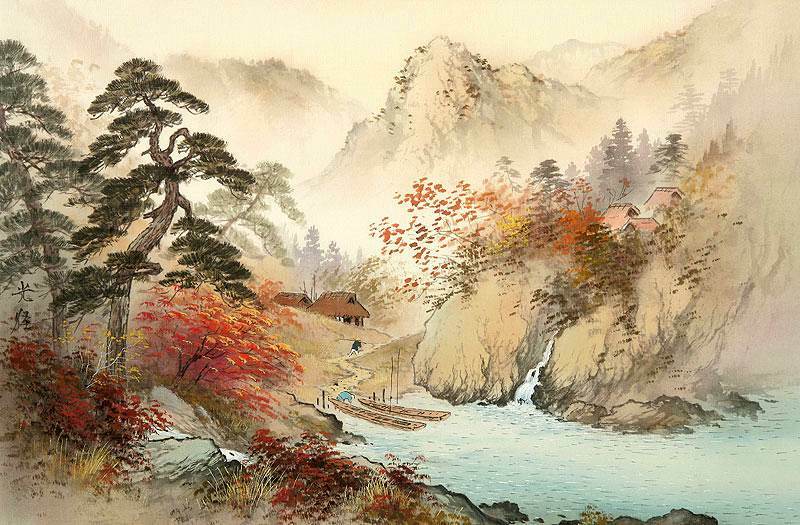 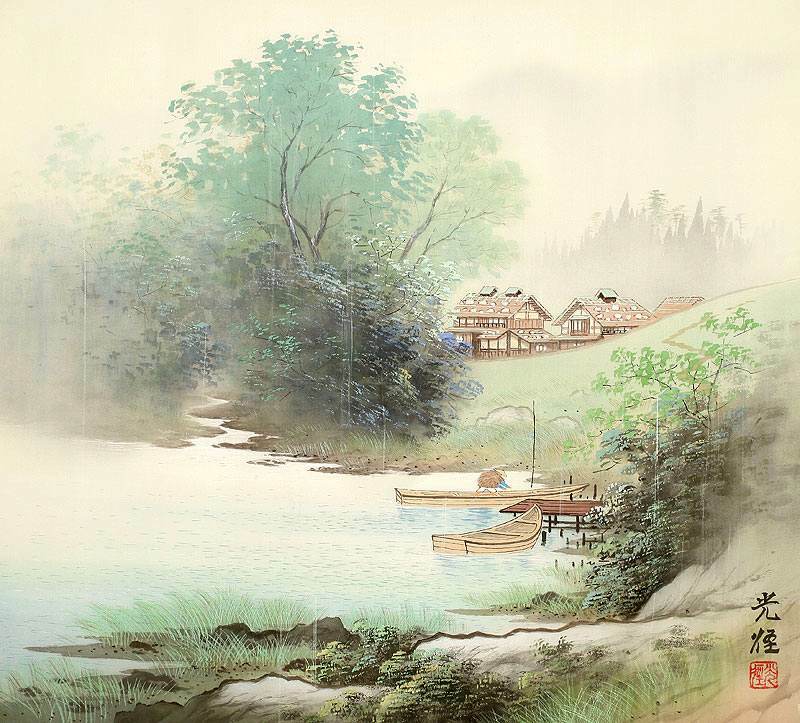 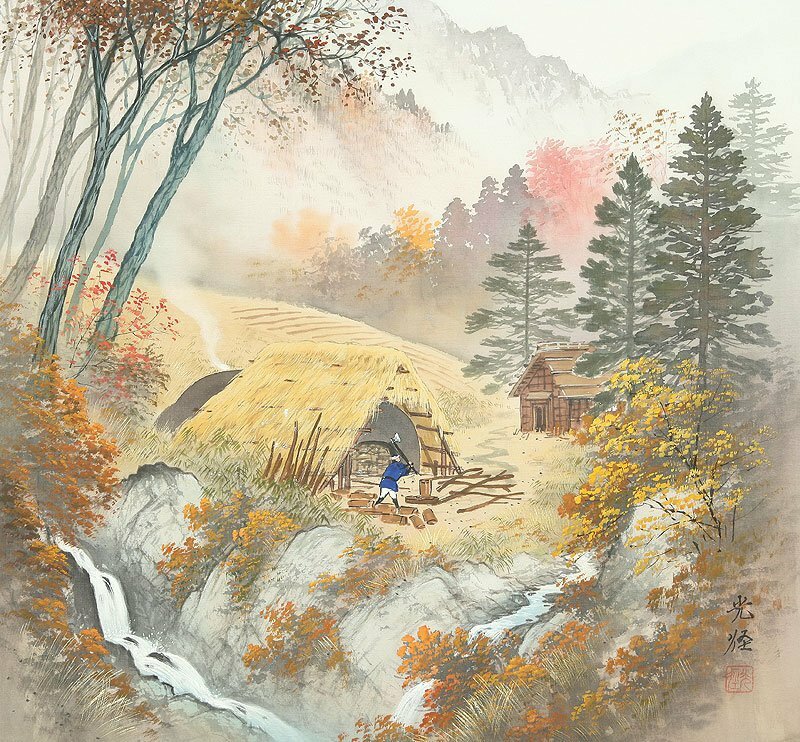 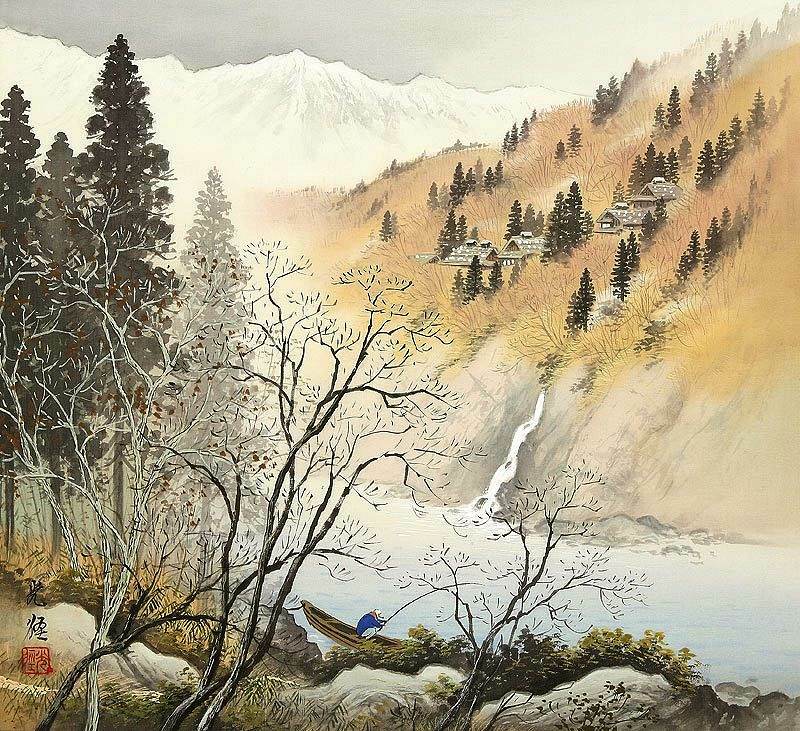 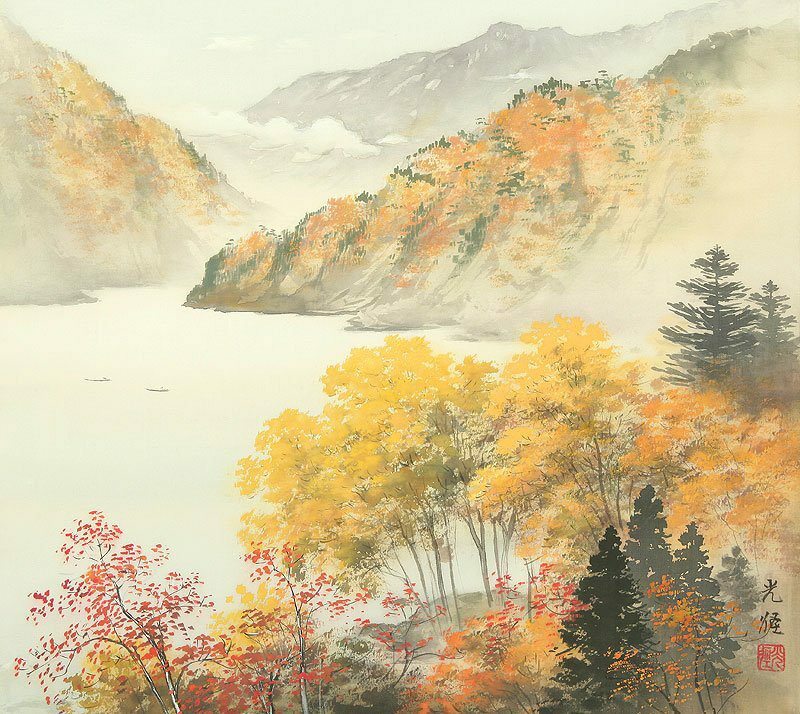 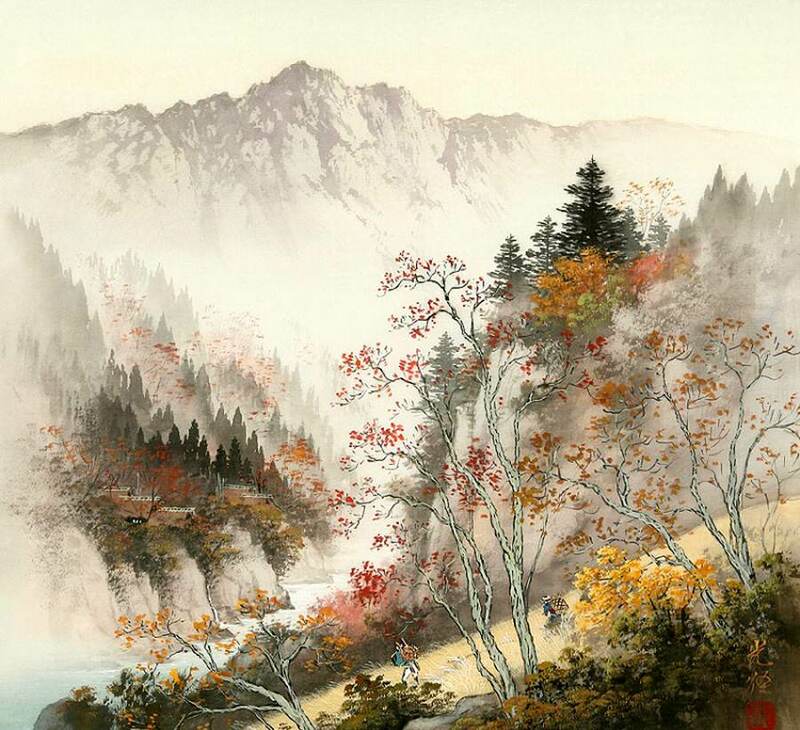 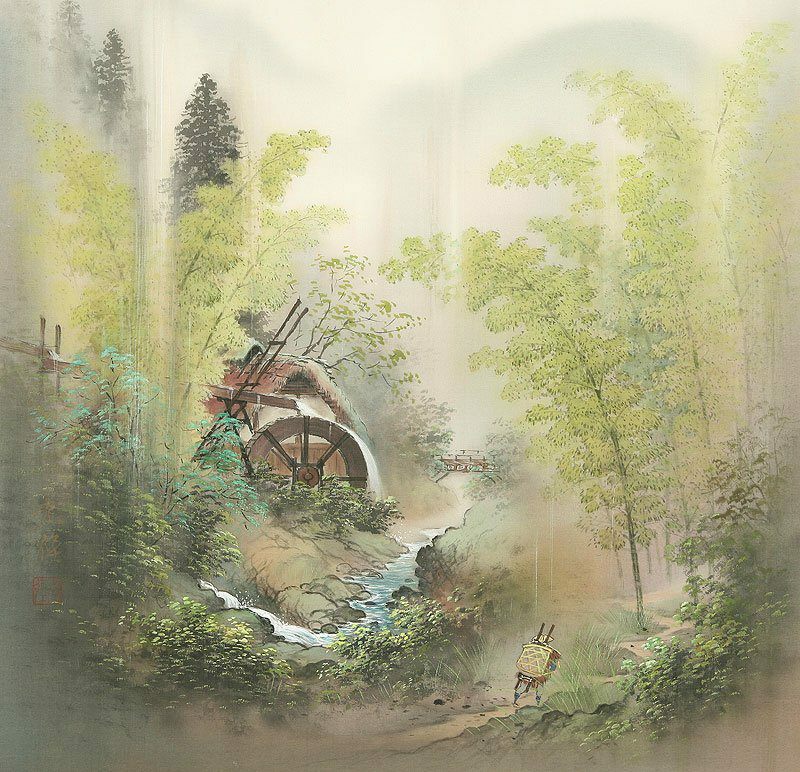 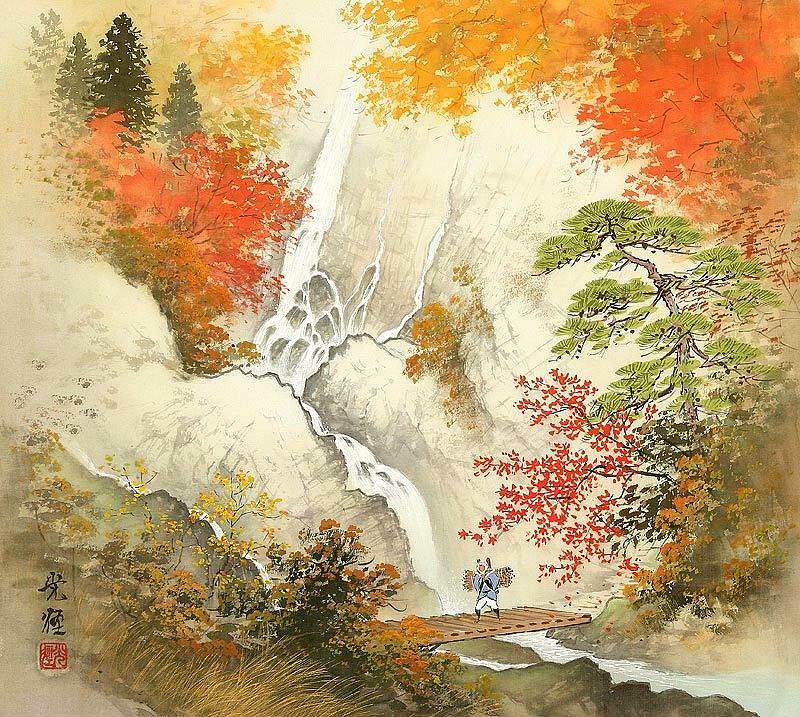 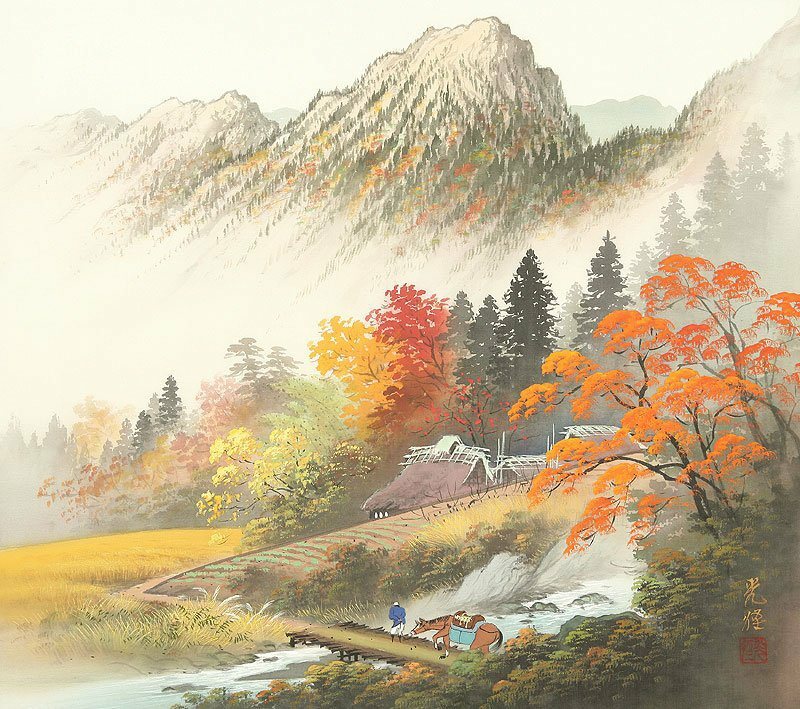 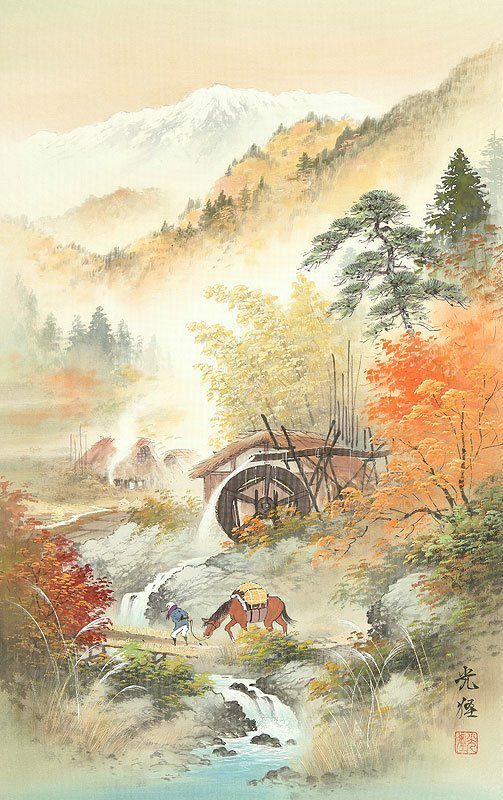 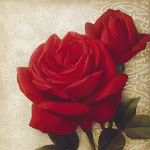 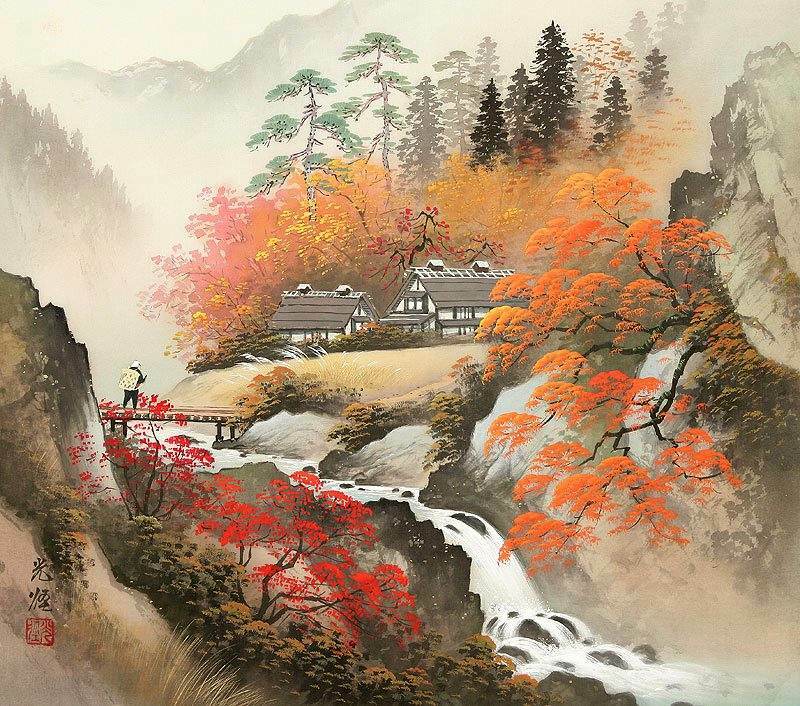 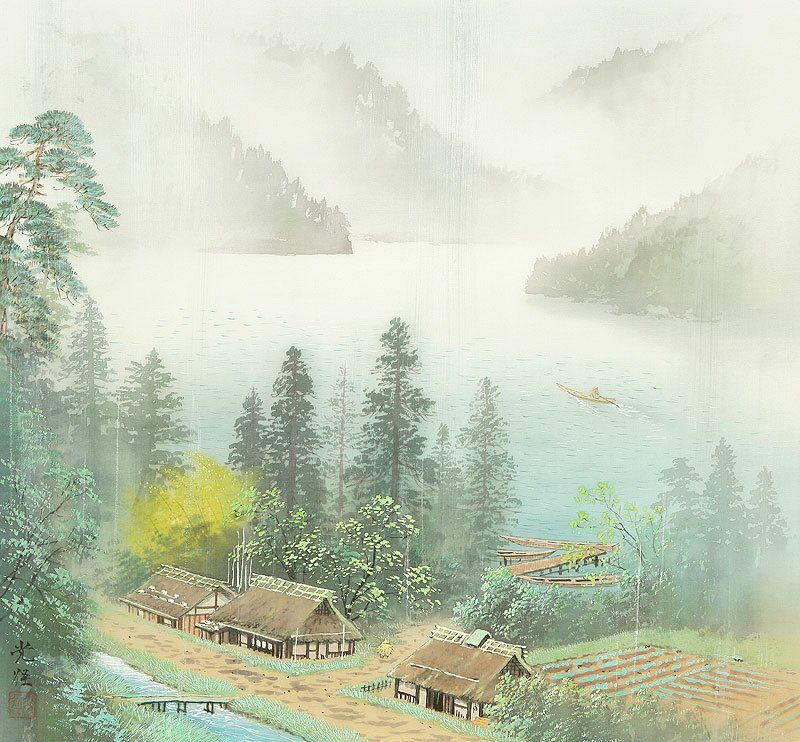 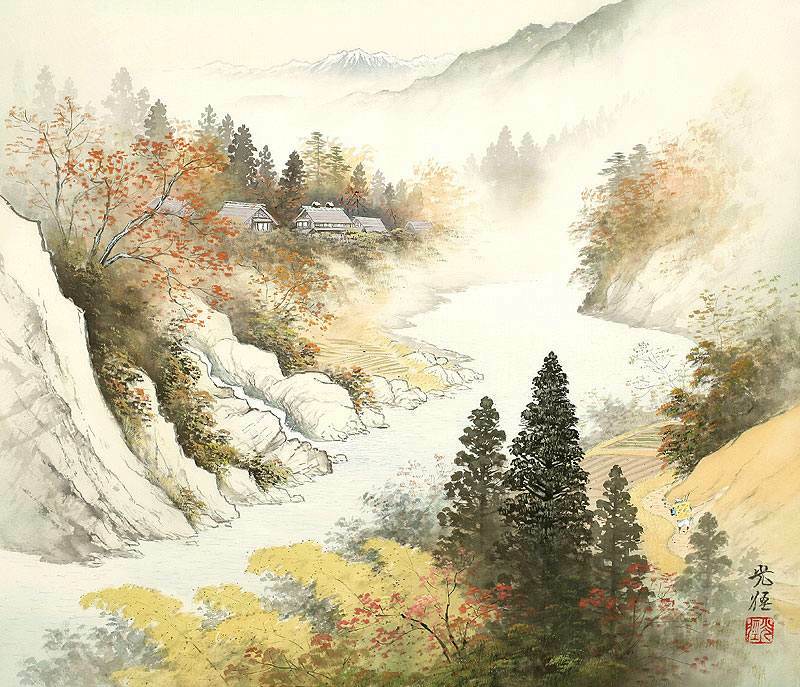 Koukei Kojima paints in the style of "Sansam" so called landscape painting in Japan and dors it very well.